Secretary Duncan recently announced 286 schools as 2013 National Blue Ribbon Schools. This program honors public and private elementary, middle, and high schools where students perform at the highest levels or where significant increases are being made in students’ levels of achievement. Chief State School Officers nominate public schools. The Council for American Private Education nominates private schools. All schools will be honored at a ceremony in Washington, D.C., November 18 and 19. In its 31-year history, the program has bestowed this coveted award on nearly 7,500 of America’s schools. 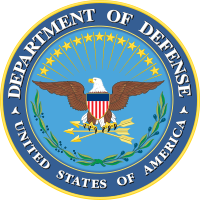 Three Department of Defense Education Activity Schools were recognized by U.S. Secretary of Education Arne Duncan as 2013 National Blue Ribbon Schools. Seoul American Middle School in Korea, Lakenheath Middle School in England, and Kingsolver Elementary School at Fort Knox, Ky., all received the honor. The Blue Ribbon Schools Program annually recognizes approximately 300 public and private elementary, middle and high schools where students are performing at very high levels or where significant improvements are being made in student achievement levels.